for pets, poultry & farm animals. 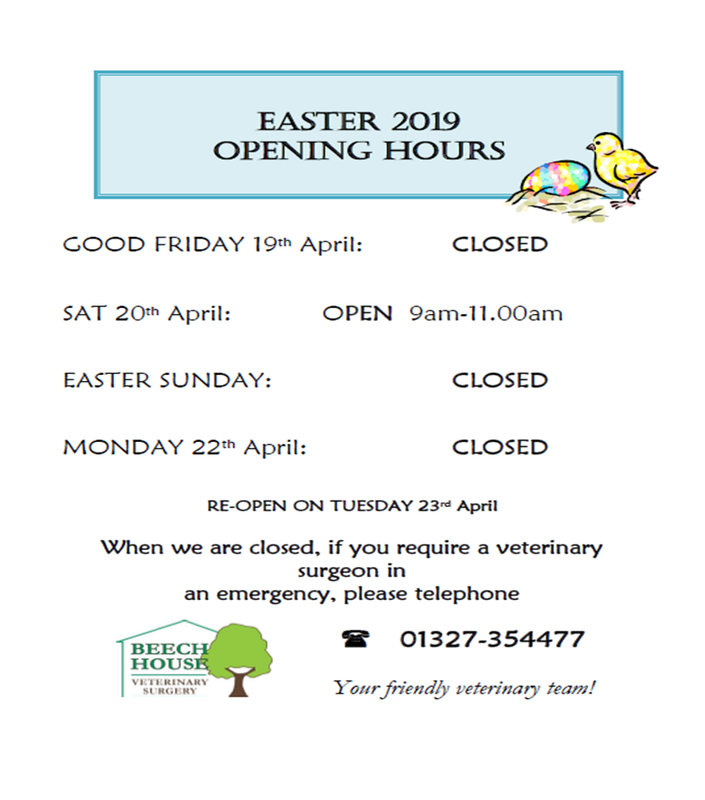 See below for our Easter opening times. We are an enthusiastic and friendly veterinary team, serving the people and animals of Towcester and the surrounding area. We aim to give you our best possible care and attention.